Traditional Thai art and handicraft skills have been passed from generation to generation within communities, some of which are centuries old. Some of these centers of Thai art have survived; others are in danger of going extinct owing to the pressures of modern development. 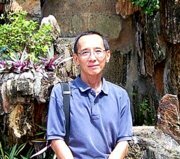 What are the forms of Thai art still left and what are in danger of going extinct? What measures are being taken to preserve this cultural heritage? 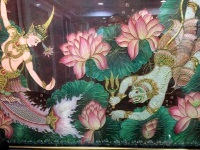 These traditional Thai paintings are forms of Thai art that are still preserved as evident in an art exhibition in Bangkok. 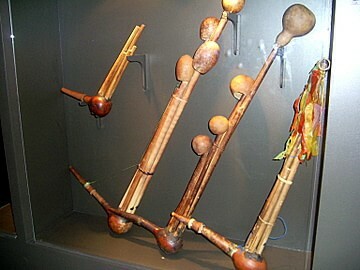 Tribal musical instruments feature the rare and unusual musical instruments of the hill tribes in northern Thailand with briefs on their history, culture and the role of music in their lives. The Abhisek Dusit Throne Hall in Dusit Garden has a comprehensive collection of traditional Thai art and handicraft. The items displayed represent the various traditional skills in the various regions and provinces in Thailand. Besides the different Thai silk designs from the different regions of Thailand, other works include silverware, finely engraved neilloware, pottery and lacquerware. These are products of the royally sponsored SUPPORT Foundation for traditional Thai art and handicraft. The SUPPORT Foundation was initiated by HM Queen Sirikit to help the rural population augment their meager incomes and to preserve the skills in traditional arts and craft. A center was established within the grounds of Chitralada Palace where teachers pass these skills to students from the rural areas all at royal expense. On graduation, these students return to their native provinces to start cottage art industries. During royal tours of the rural areas, villagers present their products to the royal staff who assess the value and pay the villagers for their work. Sometimes this can be equivalent to a year's work on the farm. These products are then sold at Chitralada outlets in Bangkok and other major cities. Proceeds are channeled to maintain the foundation. 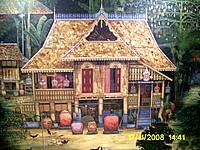 Displays of Thai art can also be viewed at the Queen's Gallery in Ratchadamnoen Klang opposite Fort Mahakarn. In this way, the rural artisan is relieved of the burdens of retailing of his products. He merely concentrates on his craft, confident that he'll get a fair price. There's wide array of traditional Thai art for sale in Narayana Phand, a joint venture between the Thai government and private enterprise. This outlet is located opposite the Central World Plaza in Ratchadamri Road. 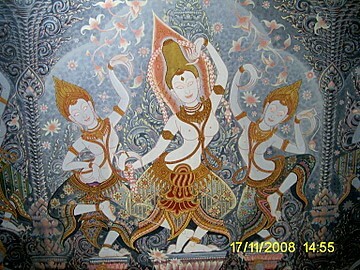 Other traditional Thai art centers are started by private efforts; individuals or communities keen on preserving the arts. A prominent example would be Thai silk and Jim Thompson comes to mind. 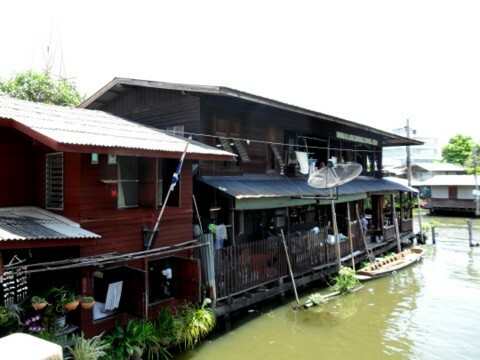 Please see Jim Thompson outlets in Bangkok. However we mustn’t forget the Thai silk weavers of Ban Krua who first worked with Thompson to launch the Thai silk industry after World War II. One of their descendants is still in Ban Krua. 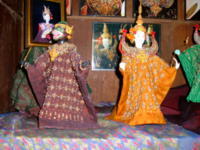 The traditional Thai art center Ban Chang Thai or the House of Thai Artisans, preserves the art of puppet making, painting and miniature Khon masks. The center is also renowned for Muay Thai, popularly known as Thai boxing. Another form of traditional Thai art is the colorful Khon masks and headgear worn by the various characters in the masked Khon Dance. The artisans in Ban Silpa Thai (House of Thai Art) Thonburi who make these Khon masks have achieved national acclaim for their craftsmanship. However, the Khon mask makers in the Saphan Mai community weren't so lucky. 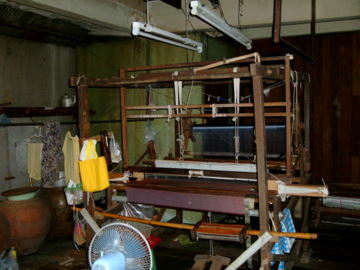 This community of artisans has almost disappeared, save for one man, to make way for a condominium development. 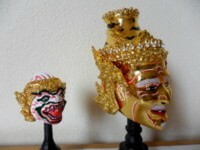 The Khon mask maker of Bang Plad is still actively practising his craft. He also conducts lessons on Khon mask making to preserve the art for the future generations. His shop is in Charan Sanitwong Soi 68. One place to view the complete range of Khon masks and headgear is the private collection in the Home of MR Kukrit Pramoj. The Ban Laos community of bamboo flute makers a 200 year old community from Laos, has preserved their traditional skills in making woodwind instruments to this day. 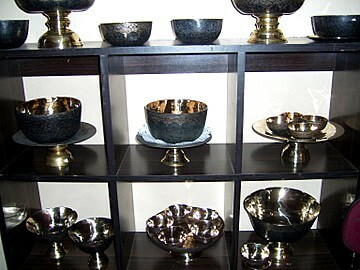 Thai bronzeware is made by a two century old community of artisans in Ban Bu. The community suffered a severe setback in early 2006 when the retail outlet and several other homes were burnt to the ground. Luckily the factory was undamaged and in March 2007, I learnt that they have reopened for business. A practical form of woodcraft is carpentry for home décor products like engraved doors, sculptured door knobs, panels and cornices. The carpenters in Soi Pracha Rat 24 have crafted home décor to a fine art. Benjarong ceramics got its name from the five (benja) colors black, white, red, green and yellow in the floral designs. Initially produced in China based on Thai designs, Benjarong was the tableware of royalty. 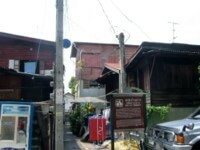 By the early 20th century, production was completely done in Thailand. 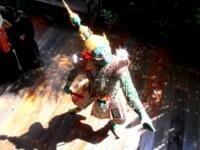 The art gallery in the Siam Heritage Boutique Suite displays the works of budding Thai artists. 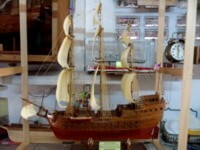 These works, which include paintings, pottery, wood and sandstone sculptures, are also for sale. 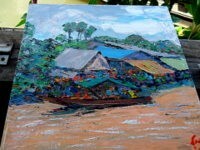 For art in an old restored house by the canal that preserves the traditional way of river life, please see Artists House. 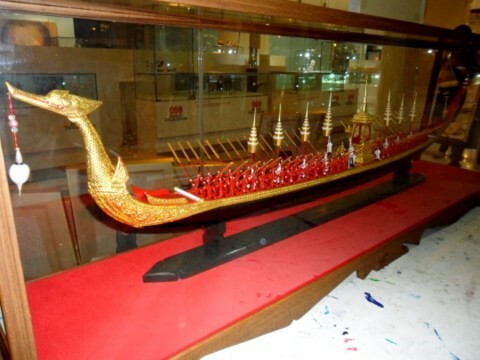 Another form of Thai art is the building of model ships. 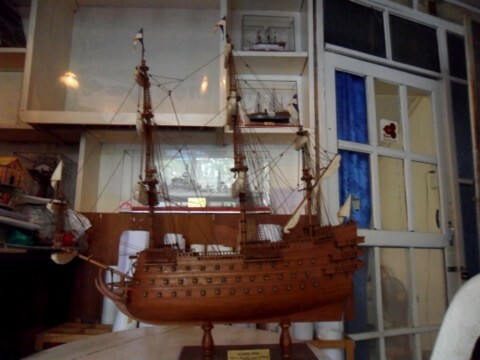 In this respect Khun Manoth Musucabutr, a model warship builder has honed his skills in building models of 16th – 18th C European warships. Still on the art of building model ships, Acharn Paisal Nettasut the model royal barge builder specializes in building beautiful models of the royal barge, Suphannahongse which are a pleasure to view. 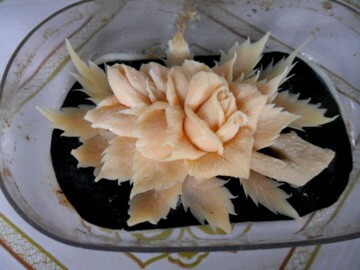 Carving and sculpturing of wood, sandstone, stone and various other material are fascinating aspects of traditional Thai art; none more so than the art of carving beautiful floral designs out of soap! 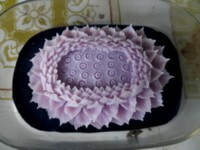 Soap or fruit carving is a very special form of traditional Thai art. A father and son have perfected this craft and preserved it for two generations in the Thai soap carver. Empowering the Disabled relates the efforts of one man who established the Universal Foundation for Persons with Disabilities to help the disabled prepare themselves to take their place in society. The art gallery in the foundation also features a wide range of Thai artwork, paintings, sculptures, pottery and other elaborate handicraft by men and women who are disabled. Their exquisite work is inspirational. This list of traditional Thai art is by no means exhaustive. As we come across more of these centers, we'll add on them to this list. There's a wealth of undiscovered talent and artistic treasures out there, just waiting to be found. 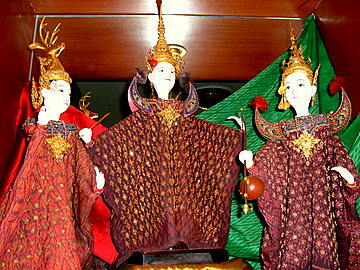 Traditional Thai art and handicraft is the life and soul of Thai cultural heritage. Preserving this heritage in our rapidly changing world will be society's biggest challenge!